A remake of the classic 1973 drama Papillon starring Steve McQueen and Dustin Hoffman, has wrapped filming on location in Malta. The new adaptation will star Charlie Hunnam (Pacific Rim) alongside Rami Malek (Mr Robot), taking over the roles of McQueen and Hoffman respectively. Inspired by Henri Charrière’s novel of the same name, Papillon depicts the daring escape of a man wrongly convicted and sentenced to incarceration in a French Guiana prison. 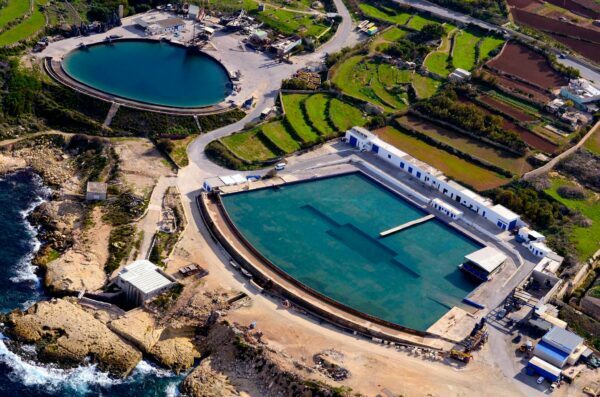 According to the Malta Film Commission, the production largely utilised the water tanks located in Kalkara and Rabat. In addition to filming in Malta, shoots also took place in Serbia, Montenegro and Thailand. The decision to film in Montenegro is particularly interesting as its lack of financial incentives sees the country often ignored by international projects. Working in the country’s favour however is its unique topography, boasting both snow peaked mountains and clear-water beaches. Serbia, Malta and Thailand on the other hand all offer various tax incentives. Serbia’s 20% cash rebate is the only one of the three that extends to commercials productions while the others, set at 20% and 25% for Thailand and Malta, apply only to feature films and television shows. The original cinematic adaptation of Papillon is famous for having been shot in a number of distant locations including Jamaica and Venezuela. As a result, production on the film cost USD12 million, an abnormally high amount for the time. Malta has become a highly popular location for international productions since installing its own incentive programme. The city of Mdina features regularly in HBO’s Game of Thrones while Justin Kurzel’s Assassin’s Creed shot in Fort Rinella and Valletta.